Disclaimer: The iBasso DX150 was sent to us a sample in exchange for our honest opinion and does not have to be returned. We thank the team at iBasso for giving us this opportunity. In 2017 we voted the iBasso DX200 as our favorite reviewed DAP of the year. We based that largely on the value to performance ratio combined with their excellent amplification card system. At $869 it was and is today, just on the right side of affordable. Which is why I was all the more surprised when they launched the new DX150 a few months ago. Here is a digital media player that looks and feels almost the same as the DX200. A DAP that also uses the exact same amp card system and Android 6.0 platform. Yet, a DAP, that costs almost half the price of the DX200 at $499. The DX150 is competing with the likes of the Cayin N5ii, the FiiO X5iii, and the HiBy Music R6 in what I like to call the sweet spot of good performing affordable digital players. Dare I say it, but the DX150 could well be competing with the DX200 itself! iBasso generally tends to focus on the detail rather than the bigger picture when it comes to marketing their DAPs. 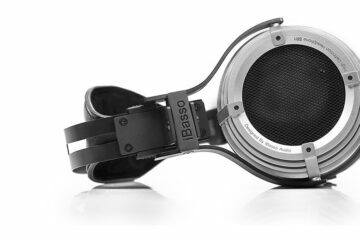 However, given the DX80’s modest life cycle it is pretty clear iBasso were lacking a competitor at the $500 marker where the likes of FiiO and Cayin have taken up residence in the last year or two. The DX150 is the answer to that gap in their DAP product range. It is positioned between the DX80 and the DX200 but draws almost all of its unique features from the DX200. 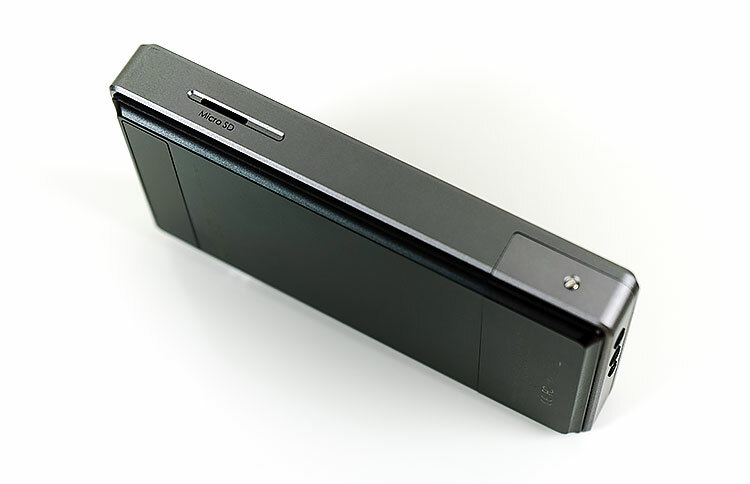 It combines the form factor of the DX200 with the amp card system of the DX200 and the Mango software player first seen on the DX80 and later matured on the DX200. Instead of the more expensive high-end dual ES9028PRO DAC chipset, iBasso has worked-in a cheaper dual AK4490EQ implementation to get within budget. This is a chipset used by FiiO for the X5iii and recently by Cayin on the i5 to name but a few. It is a little older but still very a very capable DAC and usually much easier to program on the development side. iBasso is also touting some very low noise and jitter tech in the DX150 calls TCXO (Temperature Compensated Crystal Oscillator) and PPL (Phase Lock Loop). The DX150 has ditched the common multi-oscillator design of competing DAPs for what they define as a synchronization technology that ditches the need to switch sample rates for low jitter levels. Eagle-eyed readers will also have seen that iBasso has stuck with the same 64bit 8 Cores A53 processor and 2G LPDDR3 of RAM inside the DX150. It should, in theory, churn just as fast as its bigger sibling, the DX200. Compatibility with the existing amp card system is the DX150 is a big plus. It is pretty much the only sub $500 DAP out there that can tap into a fairly matured amp card ecosystem and places it at an advantage compared to FiiO’s more expensive X7 DAP, (though the Q5 might have something to say about that). From a distance very little has changed from the DX200 form factor. Any physical changes are subtle with what looks to be an eclectic mix of budget constraints and enhancements based on DX200 user feedback. The dimensions are the same at 128.5mm x 69mm x 19.5mm though it is marginally heavier at 245g (+5g). This is still a big DAP and at the mid-fi level, only the HiBy Music R6 stainless steel version weighs more at 275g. This is not a pocketable DAP, even more so when the leather case is added and so you will feel the weight in your hand more so than the competing DAPs. The DX150 is not quite as rugged and as industrial looking as the DX200. Here you can argue that iBasso has refined the CNC engraved aircraft aluminum body in two ways to get that more refined finish. The first is the right panel button and volume control guard plate. On the older DX200, this was quite an angular and raised cut of CNC aluminum that went around the corner enveloping the power button. Despite its good levels of protection, it was part of the problem with the original leather case creating a clumsy and slightly awkward bump in an otherwise smooth finish. On the DX150 this is now replaced by a lower profile chrome accented guard plate. It still snakes its war around the corner but the bump is non-existent. The volume control has less protection though so there is a compromise. You can spot the tiny little areas that do give away the slightly lower price point. The buttons behind the guard plate are not recessed and do not have the fine detail of the DX200 recessed socket. The volume wheel, grippy as it is, is not as neatly cut and finished as the DX200. The input and output ports are not quite as tight to the metal as the DX200 ports. To the credit of iBasso, the DX150 playback buttons do have small raised bumps that make it much easier to recognize when out of sight in a pocket. This is what I mean by that eclectic mix of budget and user feedback. 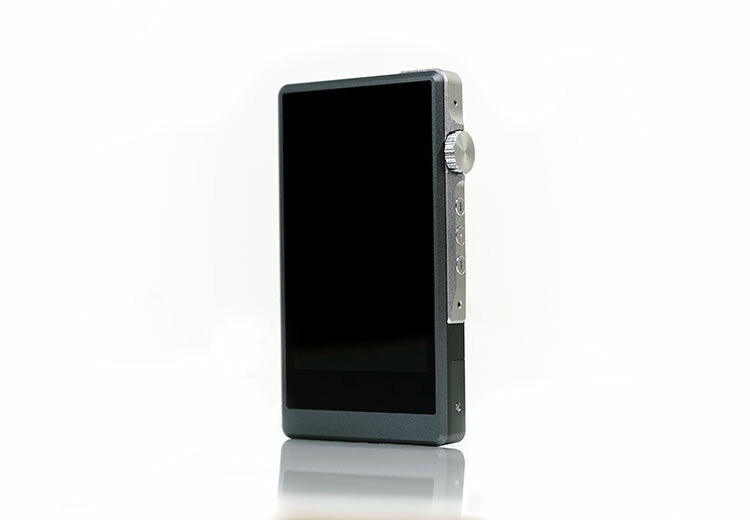 The second way iBasso has achieved the more refined finish is the lack of raised ledge for the screen on the DX150 body. The LCD is now inset and runs almost flush with the DX150 chassis. It feels a lot smoother and less angular as a result. I would also not worry about any gaps between the chassis and screen for the dust to collect. It looks pretty tight to the edge, as it did on the DX200. iBasso has used the exact same screen on the DX150 as they did on the DX200. Fantastic! This may not be R6 levels of 2D screen yummy but it is nevertheless one of the best screens available at this price point. 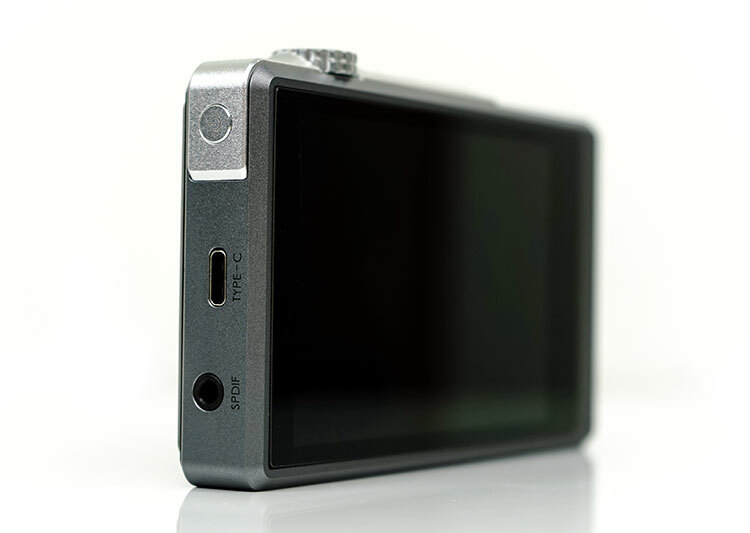 The DX150 uses a capacitive 4.2″ IPS screen with a 350dpi 16m color 1280 x 768 px resolution. This is a bigger and better performing LCD screen than the X5iii and Cayin’s N5ii 3.97″ and 3.65″ IPS displays. The X7ii also lags behind with a smaller 3.7″ IPS TFT screen with just a 233dpi and 800×480 px resolution. The screen used is built using liquid-based bonding technology or OCA which provides for an excellent optical performance and increased durability. The screen has an excellent contrast ratio, a very wide, almost flat, viewing angle and a super-sharp resolution. Down we go to 32Gb of onboard eMMC memory from the 64Gb of the DX200. Something had to give and when speaking to manufacturers this is one area that always gets downsized to meet the budget. The DX150 is on par though with its competing rivals the N5ii and the X5iii which also have 32Gb onboard. Where it still lacks a little is the use of a single slot micro-SD card with up to presumably 400GB or more depending on the card. Officially, it is 256GB but generally, you can get more to work with modern DAPs. Thankfully this is not a pin-pushed tray loading slot. You may have your preference but I prefer not having to carry a pin around me all day to change the memory cards on a DAP. Of course, with Android, you can go OTG on the DX150 to expand the memory capability. With wireless connectivity and app management, you can also go DLNA, cloud services, and streaming so you can pull in your virtual memory and expand that way also. The DX150 uses a 3.8V 4400mAh Li-polymer battery which is fairly large compared to the N5ii’s 3000mAh version or the 3400mAh inside the FiiO X5iii. However, in combination with the new AMP 6 card the numbers are just ok, nothing amazing at approximately 10.5 hours. It does perform better than the AMP 1 card inside the DX200 but once you switch the AMP 1 card over to the DX150 you do get a slight drop in numbers. Unsurprising really considering the AMP 1 is a more powerful amp card than the AMP 6. iBasso have also paid attention to the buffer and power supply on the AMP 6 to get performing at that 10-hour marker. Other mitigating factors that will drop the numbers is the use of WiFi, Bluetooth, sample rates and screen brightness. There is a useful addition though to the DX150 battery capability that is not provided on the DX200 and that is a Type-C PD2.0 quick charging feature. This basically means the DX150 can absorb up to 100W of incoming power and charge in just under 2 hours (my own experience). That is double the speed of the DX200’s charge cycle. The fundamental physical control “framework” of the DX150 is exactly the same as the DX200. 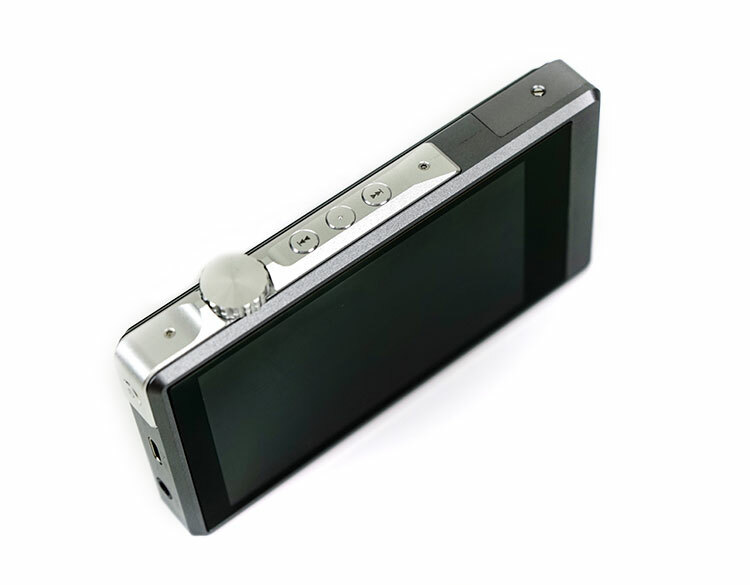 This is a combination of digital touch, (capacitive touchscreen) and a subset of mechanical buttons for playback and power/screen on and off control. The capacitive touchscreen is multi-touch and certainly, on just moving around and going in and out of menus it felt snappy and responsive. As previously mentioned the finishing on the DX150 buttons are slightly different. This is to assist the user with quick touch-based recognition of what each button will do. Essentially you can operate them blind with a little bump in the center playback button for quicker orientation. The power button at the top also seems slightly raised compared to the DX200 for what I presume is the same quick and easy detection. As with the DX200, the stepped volume potentiometer wheel controls volume in the digital domain as opposed to being purely analog. The benefits of that are excellent channel matching and a lower level of potential noise. As per before its 0.5db per step with a total 150 steps. Again, there is no change between the DX150 and DX200 when it comes to inputs and outputs. At the top panel, you have a single SPDIF output and a USB-C input/output. The USB-C stage uses an XMOS XU208 and a Thesycon USB driver for PC DAC/charging duties as well as being OTG capable. The bottom set of outputs is entirely related to the choice of amp card and is analog based. With the Amp card 6, you get a 2.4Vrms rated 3.5mm analog line-out, a 3.5mm jack, and a 2.5mm balanced output. You can find more performance specs of the card itself on page 2 of this review. Whilst not as fancy as the DX200 the packing of the DX150 is professional and in keeping with their DAP branding. The DX150 comes in a regulation silver slide out box with the DX150 nestled on a top layer of foam and the accessories packed underneath. What is positively surprising is that not only did they keep the same set of physical accessories as the DX200 but they indirectly improved upon it. Where? The leather case is where. I always thought the leather case on the DX200 was excellent apart from one major flaw and that was the flap that rode the volume wheel guard. It stuck out way too far and impeded the controls a little. The volume control guard is gone on the DX150 and the volume dial is down about 2-3mm which leaves plenty of room for the case snap-on without being pushed out. In truth, the form factor of the case is almost the same, it just works better because of the slight change in DX150 design. The finish is different though. 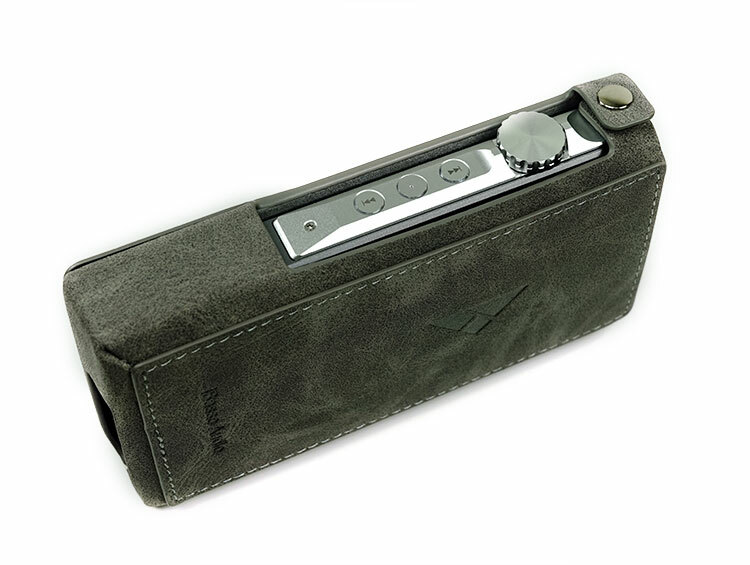 This time around iBasso has opted for a lighter grey toned stitched suede leather that better matches the chrome plate around the playback and volume controls. It is a little thicker than the DX200 and I dare say not quite as refined in the quality of leather. However, the suede finish actually feels really nice to the touch. Apart from the case iBasso have included the same peripherals including iBasso’s standard burn-in cable, a 3.5mm to coaxial converter cable, and USB-C to USB-A data/charging cable. But where is the quick start guide/user manual? What an odd omission for a DAP with many complexities. To find the manual you need to go to the product page here on the iBasso website. 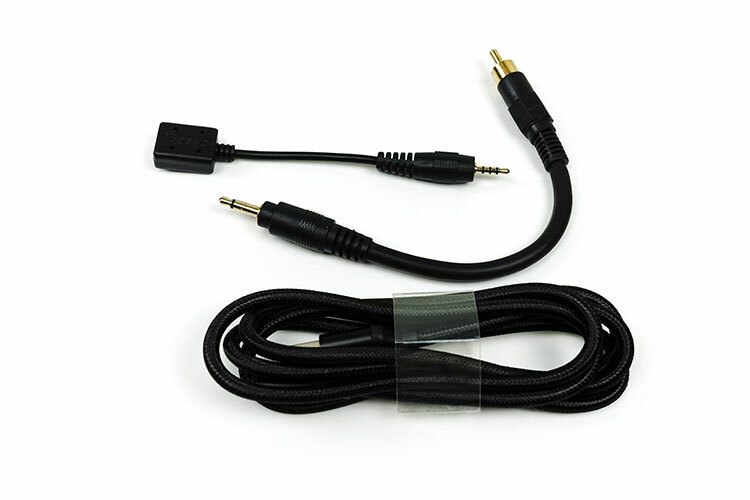 The burn in cable should be used for approx 100-200 hours initial burn in for the DAP to hit optimal running performance so stick that in the headphone output and leave it running for about a week on a mix of pink and white noise. It’s nothing new from iBasso, they have been a big believer in the use of the cable since the DX90 days. Out of the box, the DX150 also comes with a screen protector already pre-applied with a peel away tab at the right top (marked no 2). Simply peel back using the tab as your guide and it will lift the top layer off and leave the actual screen protector in place covering the entire screen. It is a small touch but an important one because those things can be the devil to apply and avoid bubbles. I did not hear about the R6 Pro! I’m wondering what the price point will be. I may just pull the trigger on one of the other two since I’m not sure I want to wait until the end of the month! Thanks again for your help! I appreciate the input. I think I’ve narrowed it down to the DX150 or the X7ii. Based on sound alone, I’d likely opt for the Ibasso but like X7ii for the dual card slots and Google Play services. Decisions, decisions! If the X7ii is only a touch brighter than the DX150, I would likely be happy with it. Have you tried the Viper effects with the Fiio? I’ve heard decent things about it and am thinking it may work well to give the Andros some better low end. For pure sound quality I would opt for the DX150 with the Andromeda. You might detect a small amount of noise but nothing to worry about. The Cayin N5iis is quieter but the tonal balance might not match the Andromeda as nicely as the DX150. The Opus#3 lacks punch for me though its very quiet. The X7ii will be fine with the amp 1 card and the Am3a card but its going to be a touch brighter than the DX150. Other cards on the X7ii will show more noise and hiss. In terms of apps functionality the X7ii is the most complete with Google Play services. The DX150 does not have the Google Play store so app compatibility through side loading is not consistent. You can load some apps on the Cayin N5iis but the UI layout places these to the background a bit more in favor of the music player. Its a great DAP, no complaints there. Thank you very much for your reply. Have a nice day. I don’t have the DPX-1 but I do have the granbeat and definitely the granbeat is more neutral and brighter sounding from the mids up but still plenty of “crunch” on the low-end. DX80 – battery and screen issues if memory serves me correctly. Sonic issues? And one question: how would you compare dx150 to the onkyo dpx-1? At the time yes, but after 12 months no. Quite a few issues cropped up on the DX80 that made me change my mind. 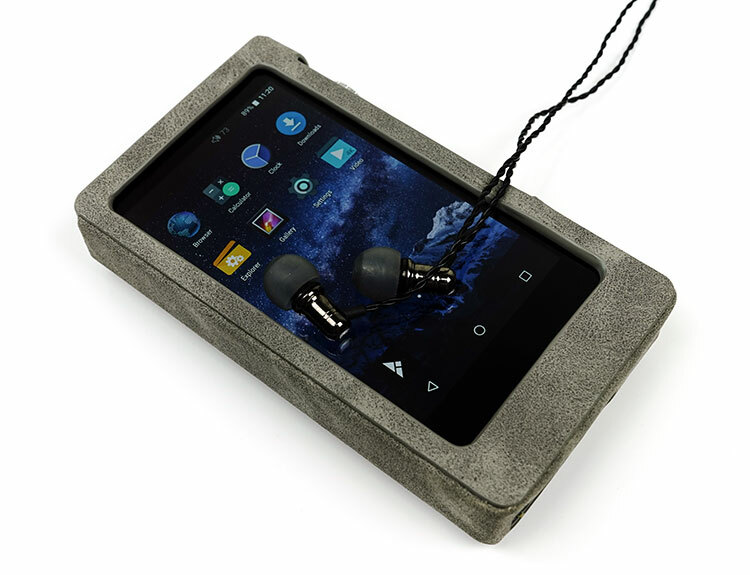 Quote from your test: “I have always been a keen advocate of the DX90 DAP as the mid-fi king of DAP’s given its OS flexibility and the overall sound is just that bit more to my liking than the equivalent FiiO and Hidizs range. The DX80 could end up replacing the DX90 because there are 1 to 2 notable tuning differences that for me make the DX80 an even better DAP to listen to despite the DX90 being supposedly the ‘higher’ DAP.” ? OK so why not use Neutron or another app like HiBy which you prefer? I think that’s the beauty of Android. Anyway sounds like your happy with the X5iii which is a good dap anyhow. The X5III is a good DAP but the noise floor is way higher for a lot of IEMs. It is more suited to IEMs higher than 30 ohms and up to medium powered headphones. Have you tried the Amp1 card with the DX150? I don’t see why not, there are over 8 different amp cards you select to get your tuning just right. With a 32 ohm impedance on the HEM8 there should be no noise or hiss. Hi. Congratulations for your article. I would like to buy that dx 150. Would you use it with iem NUFORCE HEM8 ? Could be right in terms of impedance and power? Correction* The bass becomes really boomy (darker) with higher output impedance, and the mid range/highs drop. Equally not good. Thanks for the reply. I think the 846’s end up sounding brighter, with a lack of mid and low bass (sub bass) and about 5db, not good if you ask me. I may hold out for the R6 Pro. I like the design and UI a bit better, and i’m sure both sound fantastic. I think yes the SE846 with the R6 was reported as having low-impedance skew though I cannot remember if going darker or brighter. The DX150 will not have that issue. 20’s should sound great with the DX150, my isine 10’s do. I assume the R6 paired with the Shure 846’s (9ohm) would need an IEmatch? Anyone compared the DX150 and R6 with the 846’s? those along with iSine 20’s and Focal Elears will be what I’m using. Thanks! Sadly I cant tell you as we no longer have an E12a to compare it to. Well certainly the E12a has a nice tone to it but given that both have dual AK4490 I think you are really talking more about the E12a amplification compared to the amp 6 card. How does X5iii+Fiio E12A as a set up compare sonically with the DX 150. Does the E12A take X5III to match the performance of the DX 150 and N5II? Not as Good. I always though the DX90 was better than the DX80 at this price point but the DX150 puts paid to any lingering ghosts of the DX90. Is the dx90 equal to, better than or not as good as the Dx150. My problem with the dx90 is that both 3.5 jacks require that one has to press different ways to get right and left channel sound. Hi Matt, thanks for the feedback, much appreciated. For the AEON Closed I find its akin to how long is a piece of string. It will do ok on the amp6 card, much better on the higher powered cards and even better on a desktop amp. It will rise even further if is a good desktop and hence you start to go down into the abyss of audiophilia spending and never come back again. Hi Marcus. I’ve been waiting for this one! Nice job on the review. Many thanks for sharing your impressions and insights. Forgive me if I overlooked it in the review, but what are your impressions with the Aeon Closed and the DX150? It seems it may be a bit underpowered. SQ totally depends on the amp cards you use to be honest. If you like a generally cleaner sound and more treble sparkle get the x7ii. If you want it smoother with a little more body then the DX150. The Amp1 card of the DX series is still one of the most powerful and neutral sounding of the two card systems available. aptX and LDAC I am told is in the works for future firmware updates which is so much better. No aptX HD though sadly. SQ totally depends on the amp cards you use to be honest. If you like a generally cleaner sound and more treble sparkle get the x7ii. If you want it smoother with a little more body then the DX150. Still the X7ii for connectivity. I had issues with the OTG in that it would lock up with the Mojo for no reason and had to wait for the battery to drain. I am waiting a reply from iBasso if OTG is really fully enabled or just a quirk with the Mojo. Now the X7ii until recently had poor OTG also but given it has Play services enabled and now OTG capable its more flexible for connectivity and streaming apps. Things could change though! Which one would you recommend between dx150 and fiio x7ii for SQ and connectivity? Nice review @Marcus. U hv covered every aspects related to dx150! It is certainly a nice deal under 500$, but guess no aptX & aptx HD support is kind of bummer. 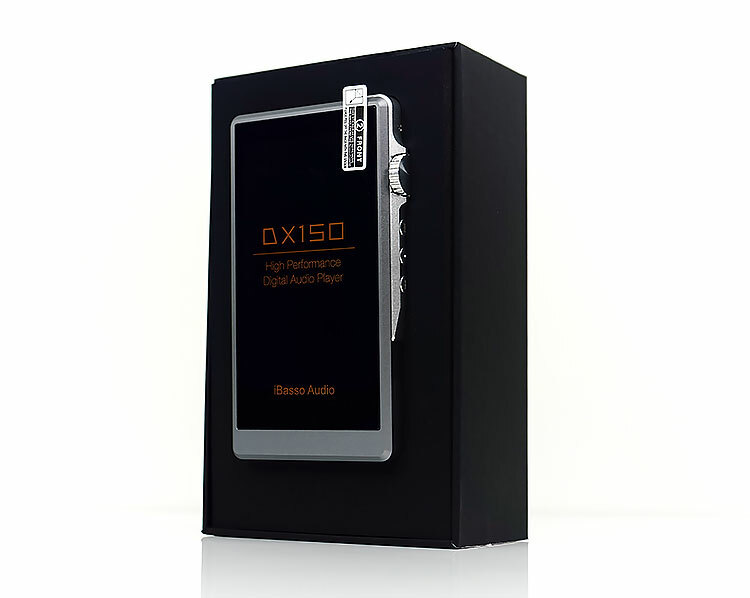 How do u rate dx 150 s compared to X7mkii of fiio? Does it hv same natural sound stage like x7mkii?